If you did a search right now on the top ten books to read for 2015, you would probably find tons of lists already out there. The challenge with this is that there are so many genre of books now that the lists are endless. Twenty years ago things were not as complicated because most “Must Read” book lists came from large chain book stores and newspapers. Now we have so many different sources on what to read, including this blog right here, that it is hard to narrow down just what all is good to read. Goodreads is a good place to start if you don’t already have an account. If you love reading you need to open yourself an account and use it. I use that website just about everyday when I update everything I am reading. They have tons of lists to follow, groups to join, book reading challenges, and more. I enjoy reading the reviews to get a better idea of what it is about I’m to read so I know I will get something out of it. In the meantime the books selected all come from authors who have already written some amazing books. 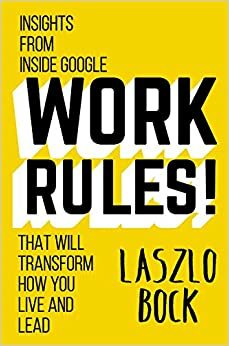 A few of the books I look forward to reading this year are Clay Water Brick, The XYZ Factor, and Work Rules. Try to always take at least an hour a day to read, 30 minutes when you wake up, and 30 minutes before you go to bed or 4 15 minute breaks throughout your day. If you are a real go-getter in life than you can have 8 15 minute breaks throughout your day. However you decide to read, make sure to take some time also to include the classics, self-help books, and adventure books, either in physical form or audiobooks. Always check your public library first to see if they have a copy available. In the list I have included those from the list but also some classic business books everyone should read. People wonder how anyone can make a successful business happen without having money to support everything. 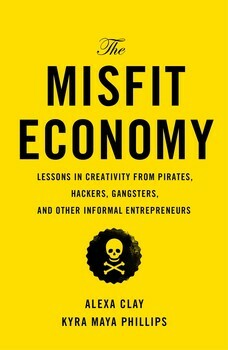 This book here shows you how some of the most innovative individuals created something great with the least amount of resources. This is a good one to start with to get out of the mindset that you need X – Y- Z before you can get started. If you think that is true, read the Kids who are exceptional article. This is the same guy who brought you Getting to Yes, which is ranked as the number one best seller in Business Negotiating category on Amazon. The author explains that all the challenges that happen in life all take place in your head. When you think a deal is going wrong because you emphasized the wrong word, chances are you are probably wrong, or maybe you shook his hand longer than you should have, making you seem desperate. These are all mental games you play with yourself so when you begin to realize not to take life so seriously you can then see how easy it is to make yourself agree with what you are saying. A great movie to watch to help you understand why you should not take life so seriously is called “Being There.” Considered one of the best philosophy movies ever made about Life. 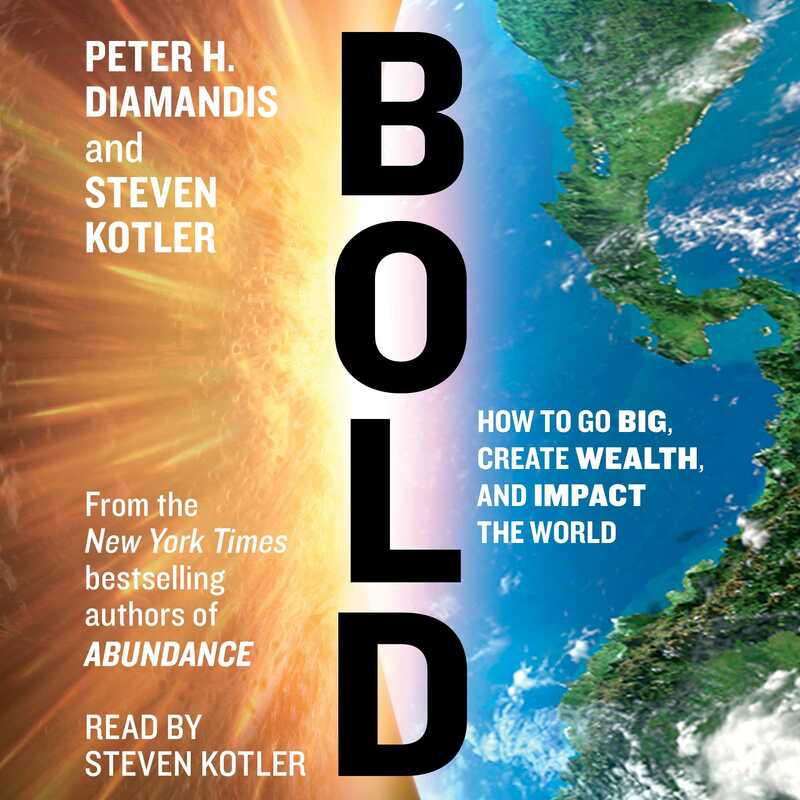 This book explains the power of exponential entrepreneurship. When you bring people of life mind together to work on a task you double, triple, or even quadruple the power that goes into solving a problem. This is the idea behind XPRIZE, a program that uses crowdsourcing to it’s ultimate power by asking people all over the world to solve their problems posted on their website, Singularity University, in return for a large cash prize. This book explores all they have learned about this impressive program about how ideas are solved through the help of exponential power. The power of Improv acting has helped changed so many people’s personal and business skills for the better because it changes how a person thinks in any given situation. Improv is a form of acting that encourages no sensor thinking and to accept everything thrown at you and learn to think in the moment. Many companies hire theater companies to come in and provide Improv training with their sales staff because of how important it is to learn. If you want to learn more about this skill and join a program, read my previous article on the art of storytelling. This is a book about learning to empower people to see the benefit of their actions when they put them to good use for others. This can be very challenging for companies when they work with younger generations that are only interested in instant gratification and isolated circumstances, most of which they have grown up in. The DoSomething.org program is meant to get kids out of this habit of waiting, which many grew up in homes where they had to wait to be told what to do and when, and start getting out there and making a difference on your own. For any kid who grew up in a restrictive household, the transition to learn how to think for themselves is very difficult, which is not fair to companies that have to deal with that, and so teaching younger individuals how change is possible through their actions is a good skill to learn. 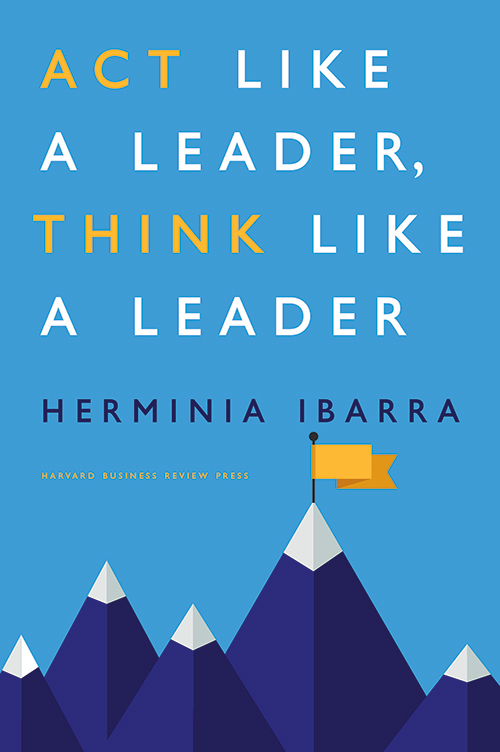 This book takes on a different approach for leaders. There are many management books that say to find your style of management and leadership in order to guide your department or people. This book here says to listen to what the people are looking for and take guidance from how they need to be managed. When you don’t over think a problem and dwell on it you can then work from the insight your team gives you. Changing habits can be hard but when you learn how to find the little tricks to turn small little actions into bit time change that is when results start to show. The author here talks about improving your life with changing your habits and routines. Humans are creatures of habit so it is important to understand how to make new habits work. Chip Heath also wrote a great book on the subject as well called Switch – How to change things when change is hard. Imagine being the HR manager for one of the best companies to work for in the world? How much pressure would you have to know that you have to hire people that are extremely intelligent but also creative at the same time? That is a lot of pressure, in that, you have to design and create interviews to weed out the fakes and still find the ones that are hard to see the first time. Then after that you have to learn how to create an environment that encourages people to grow and increase productivity, all of which can be challenge, but brought together in this richly packed book of data examples. This element of surprise is important for many reasons but none more so than in the business world. Surprises happen all the time so being able to anticipate that surprise can keep you on your toes but also understand that change is constant. When you learn to accept things as they come, training from Improv acting, you won’t feel threaten by what is happening every time something new comes up. Why do people know who we are? Isn’t that what makes people want to work with other people, because they think different and act different? People who really studied psychology in college, and when I say really studied, I mean they went way beyond the required readings and read more than your typical grad student, you would know that how a person walks, the words they use to speak, the actions they take says everything about a person already. Not everyone studied psychology in college or graduate school so books like this are important to read because it helps people connect with others when they understand them. Engineers have the worst record when it comes to social and people skills so a book like this might help them to learn that when talking about a project of their their’s it is important to include personal identifying properties of themselves with how they created it instead of just the dimensions and costs and benefits of the projects. If you want to read another book on the subject and learn more about a person by the words they speak, “The Secret Life of Pronouns: What Our Words Say About Us,” is a great book to read. Do you remember the time you came up with that amazing idea that someone has already come out with? Why did you beat them to it? And why can’t you have more moments like that? 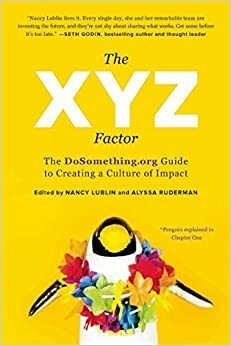 This book explains how those moments come about and how to have more of them. They spark imagination, ideas, and bring about change so if they are so important why are they so few of them? Learn more about how the brain works with this book about how great insights are achieved. Ever wondered why Robert Moses lead the life he did, or why the Men Who Built America, had such deep rich self-fulfilling lives? The challenge with creating a rich fulfilling life is not just the doing part but the upbringing part; people of character are built upon a solid foundation of morals, beliefs, and values, which guide them in everything they do. When you have no guidance in which to follow, then why would it surprise you to learn that your life has no purpose? The men who built america found their purpose because they had the keen sense to see what others couldn’t and put it into action. This book takes a look at ten lives and examines them for all these traits to learn how to create a life worth living. Behavior Consultant Mr Goldsmith looks at how to change behavior for the good and how to make them into certain habits. He takes a look at how behavior works and why we behave differently when we are in groups and when we are by ourselves. This book helps explore all that in order to find the right behaviors that will lead to a successful life. Did you know that Pirates in the Indian ocean make millions stealing huge oil tankers and cargo ships in the area? Or that hackers cause millions, if not billions in loses every year to companies, but encourage the growth for many more industries? The growing behavior of misfits is creating whole new industries to come about because the reality is when someone acts bad, you need another to fix it. 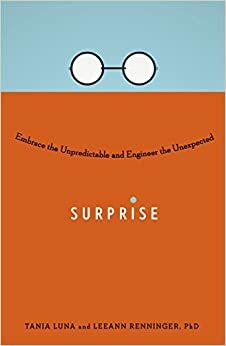 This book examines the history of people that did things unconventionally and how it turned out for them and what you can learn from doing that. The reality is, business has no rules, so once you learn that rule, all bets are off for anything you do. This important book contains the very reason you don’t want to surround yourself with people of like-mind. 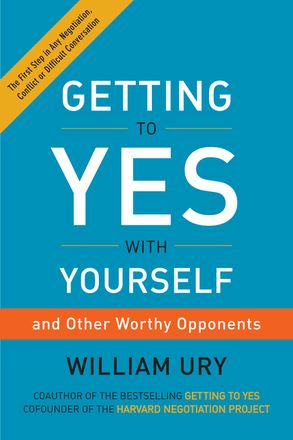 But if you have too, this book will teach you what you need to be aware of to keep from falling into the trap of staying with status-quo. Cass showed that when people of like-mind get together their values strengthen because each member reinforces what they already know or believe in. This is very dangerous because this is how progress is slowed down because if everyone thinks the same way and they all agree with one another then there is nothing to change or improve. 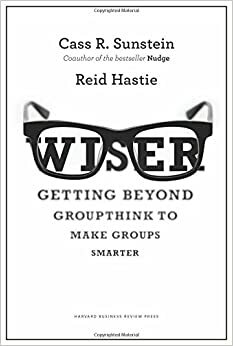 Cass also shows that similar minded groups make less dramatic changes than groups that are composed of different mindsets. He talks about this in the new elected Congress that is very one-sided and how dangerous this will be for policy making and America. You can watch his interview on The Daily Show to learn more about what happens when people who are conservative get together with similar minded individuals, and vice versa. This is a very important concept to learn so you don’t fall into the same mental trap. This is why the phrase, “Keep Your Friends Close, but your Enemies Closer,” is important to learn because your enemies will keep you on your toes and learning all the time. This book is ranked number 1 in Business & Organizational Learning. This entry was posted in Business, Economics, Education, Health, Humanities, Lifestyle, Science, Social Media, Technology and tagged 22 immutable laws of branding, act like a leader think like a leader, Al Ries, Alyssa Ruderman, Amazon list of best books, ben horowitz, best books of 2014 Amazon, better than before Gretchen rubin, Bold Peter H. Diamandis, books for entrepreneurs, business adventures, business books to read, Cass Sunstein Daily show, Cass sunstein interview Jon Stewart, Cass sunstein wiser, Clay Water Brick Jessica Jackley, dosomething.org, eric ries, Heidi Grant Halvorson, Herminia Ibarra, how to fly a horse kevin ashton, important books to read, influence robert cialdini, James W. Pennebaker, john brooks, Kyra Maya Phillips, leeann renninger, Mark Beeman, Nancy Lublin, No One Understands You and What to Do About It Heidi Grant Halvorson, Reid Hastie, self improving books, self-help books, singularity university, surprise tania luna, switch chip heath, The Eureka Factor John Kounios, the hard thing about hard things, the lean startup, The Misfit Economy Alexa Clay, the road character David Brooks, the secret life of pronouns, The XYZ Factor, Tom Yorton, top business books, Triggers Marshall Goldsmith, Work Rules Laszlo Bock, Xprize foundation, Yes And Kelly Leonard, zero to one peter thiel on January 7, 2015 by Chris. Thanks for sharing your thoughts on online business.